FRAMINGHAM – Discovering Hidden Gems, a non profit organization in Framingham, held a back-to-school event at Mary Dennison Park today, August 25. More than 150 backpacks, filled with school supplies were given out to Framingham boys and girls. Daniel’s Table/Foodie Cafe provided a BBQ lunch for families in attendance. And Framingham’s New England Bubble Soccer, brought balls, for kids – some little and some big – to play in. 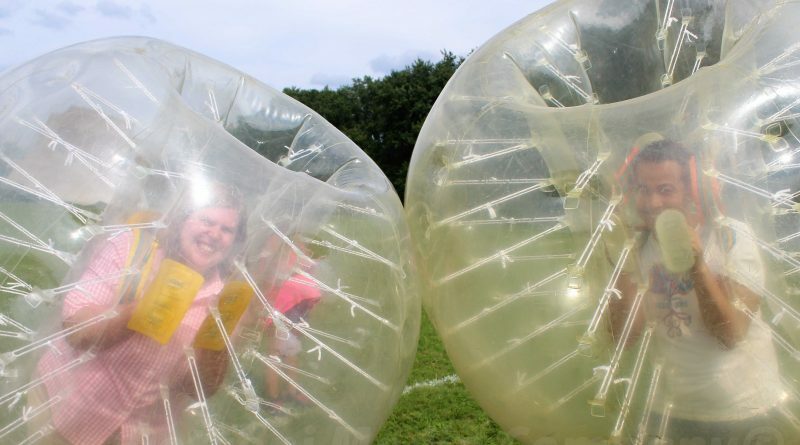 Among the “big kids” who tried out “Bubble Soccer” was District 9 City Councilor Edgardo Torres and Sixth Middlesex District State Representative write-in candidate Mary Kate Feeney. She collected supplies and backpacks for the event at her booth at the Concerts on the Common this summer. Source will have more photos and a report on Sunday.